Rose Gold is a new color that many Brides are using in weddings today. Maybe you will like it too! 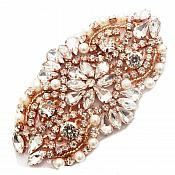 Rose Gold Beaded Applique with Crystal Glass Rhinestones set in Rose Gold settings. 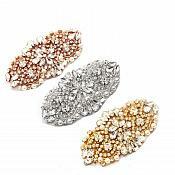 Our rhinestones are high quality, pointed back, set in prongs. 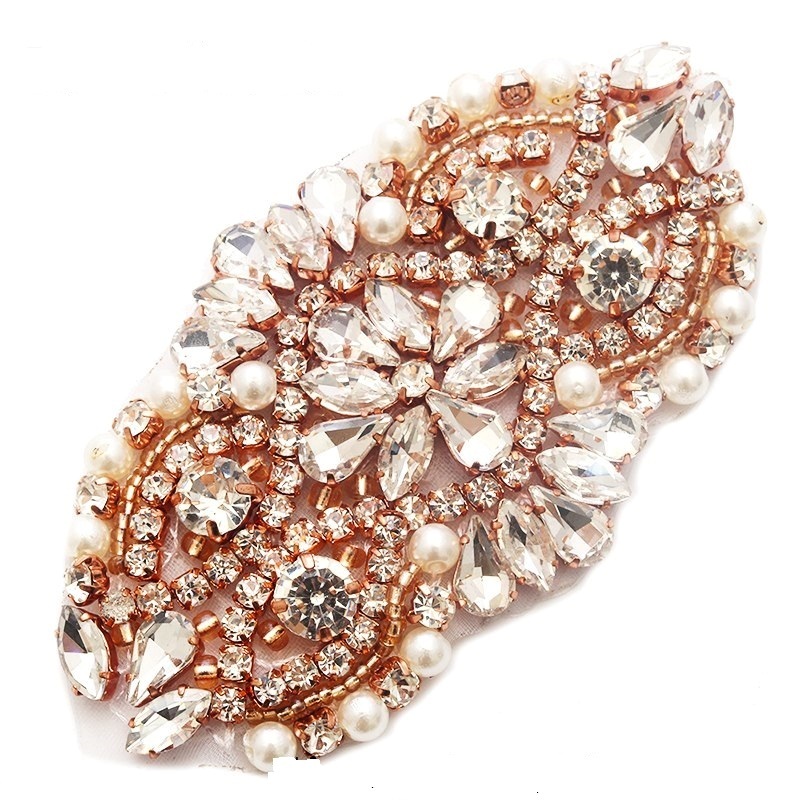 This applique is beautifully accented with pearls around the edges rotating with clear rhinestones.